Champions Warrington Wolves signed off their season with a win against West London Eagles, while NEM Hawks beat Coventry to finish second. Wolves raced into a three-goal lead. However, Eagles pulled it back to 6-4 thanks in no small part to shooting of Romoaldus Sakovicius and pulled it back to 6-4. A close first half finished 14-11 in Wolves’ favour. Wolves were able to run their bench and stretched their lead in the second period to run out 30-23 victors. Rafik Tahraoui top scored for Wolves with six goals, while Ollie Tyler weighed in with five strikes and Ben Tyler with four. Sakovicius hit an impressive eight for Eagles. Following the game the Super 8 Trophy and medals where presented to Wolves by England Handball Chairman Mike Briers and fellow director Geoff Woodall. 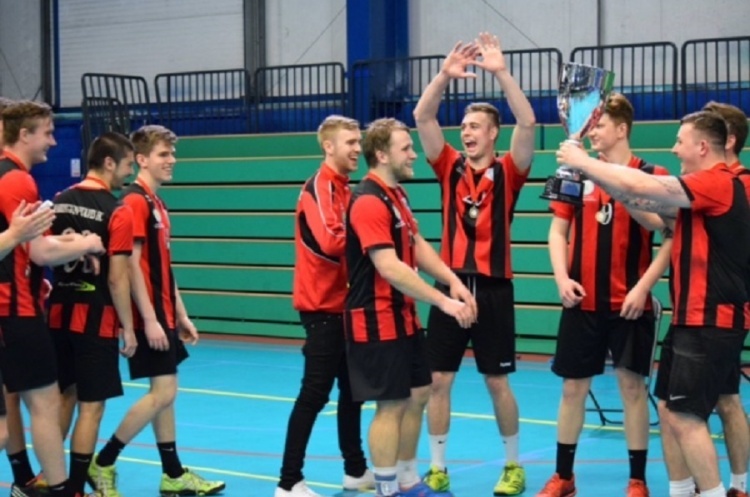 After winning their second title in three years Wolves are now turning their attention to the England Handball National Cup final against NEM Hawks, and the British Championship against Scottish Champions Livingston. Hawks beat relegated Coventry Sharks 40-28. Hawks were always in control of the match, leading 21-12 at half time. Harry Morley beat the keeper 10 times to top score for Hawks, while Ryan Goodwin bagged eight goals. Borris Balleul notched eight goals for Sharks. Hawks finish in second place in just their second season in the top flight and like Wolves will now be looking ahead to the Cup final at the Copper Box on 21 May. To book your tickets for the England Handball National Cup finals please click here. Tickets are just £3 for aged 18 and over, while under-18s go free. London GD ensured a third-place finished third thanks to a win against Olympia, and Cambridge losing to Nottingham. GD sneaked past Olympia, claiming a 26-25 victory, while Nottingham finished their campaign on a high, beating Cambridge 33-28. Cambridge finish in fourth place and Olympia in fifth. Nottingham conclude their first season in Super-8 in seventh, but just two points behind sixth-place Eagles.